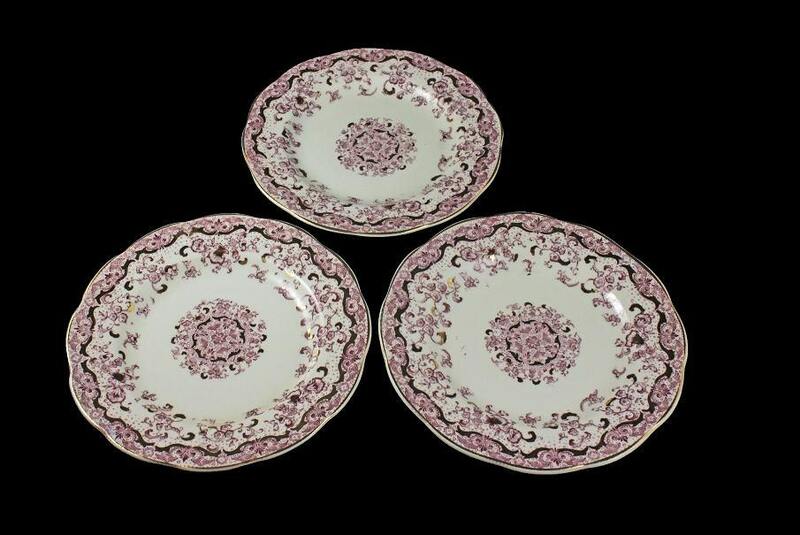 This is a gorgeous set of three bun, roll, or biscuit plates. They were made by John Maddock and Sons, Royal Vitreous, England. The pattern is called Alhambra pink. 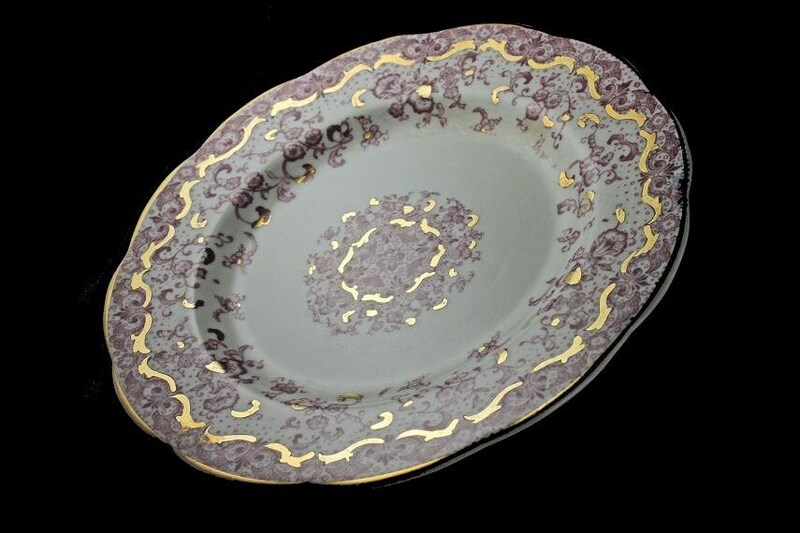 It consists of a pink (lavender) floral pattern on a white base plate with gold detailing. There is also gold on the rim. 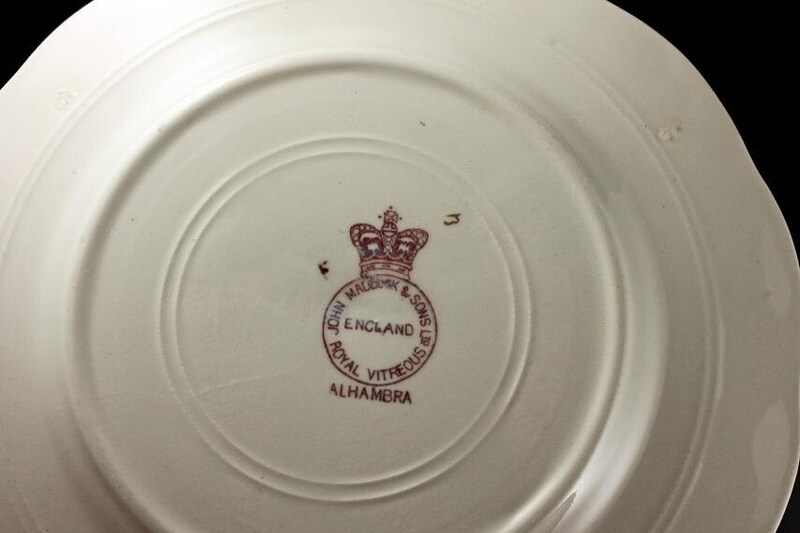 These plates would be great for a collector. 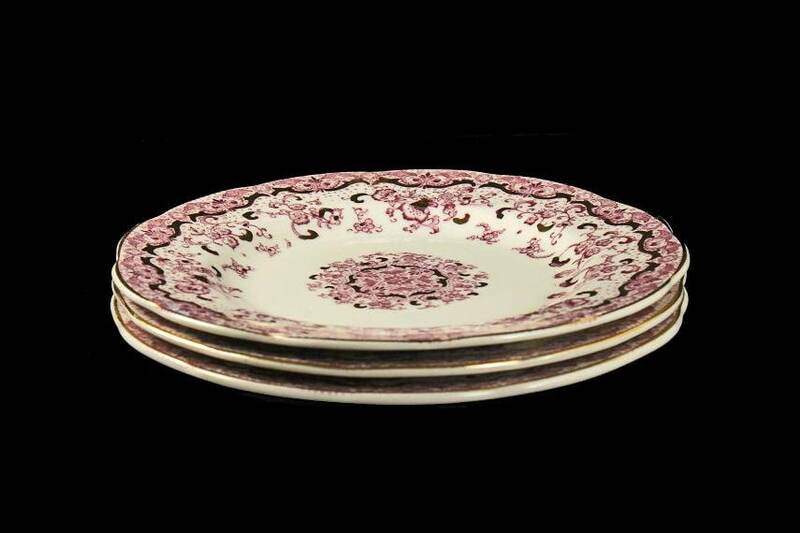 Beautiful small single serving plates. 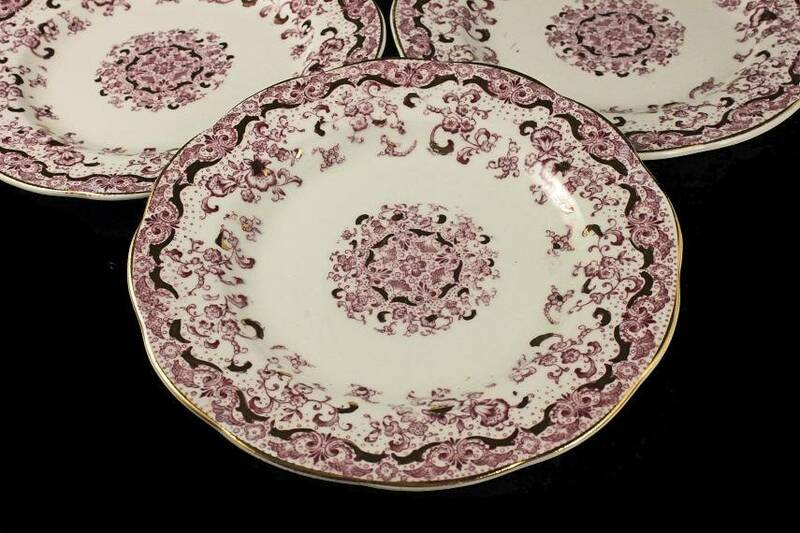 These antique plates are in excellent condition. There is no chips, cracks, or crazing. There is a small amount of wear to the gold edges.